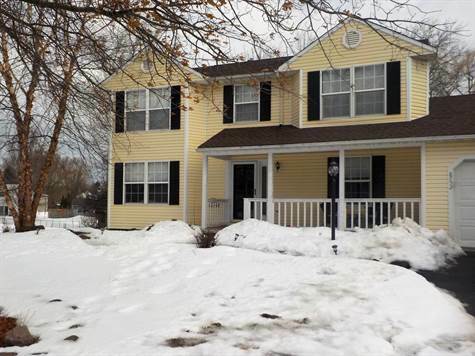 Bedrooms: 4 "Large Master with Master Bathroom"
4 Bedroom, 2 1/2 Bath Colonial in desirable neighborhood. Large rooms on the first floor offer great options for entertaining. Formal Living Room, Dining Room, Family Room with Fireplace and Eat In Kitchen with Island. First floor laundry and half bathroom. Sliding glass door leads to deck in the back yard with hot tub and above ground pool. The second floor offers a master bedroom with walk in closet and master bathroom in addition to three generously sized bedrooms. The basement has a finished rec room in addition to storage. Square footage in basement not included in total. New roof just installed. Welcome Home!